Access to transit is a major selling point for real estate developments. In Hoboken, New Jersey, a growing number of residential developments offer private shuttle bus service to the city’s major transit hub, Hoboken Terminal. While these shuttles can streamline trips with luggage or strollers, keep people dry during rainstorms, and warm in winter, they also contribute to congestion on Hoboken’s Streets, aren’t open to everyone, and draw people away who might otherwise ride The Hop, Hoboken’s municipal shuttle bus service. NJ.com reported that 2015 expenses for the Hop totaled $332,000, with a fare box recovery of $74,335, or 22%. That’s dismally low for a city in which 57.6% of residents use public transit, the highest percentage in the country. With such a high rate of public transit use to and from the city, Hoboken has an opportunity to turn The Hop into a case study for microtransit, a new transit service model outlined by the nonprofit transportation policy thinktank Eno Center for Transportation in its study UpRouted: Exploring Microtransit in the United States. Eno studied how cities are adapting hyperlocal transit services that bridge the ‘last-mile’ between traditional, fixed-route rail and bus service, and people’s trip destinations in the age of Uber, Lyft, and other on-demand ridesharing services. For a mile-square city like Hoboken, reimagined Hop service that is more frequent, reaches the residential developments that currently run private shuttles, and has extended operating hours beyond the current 7AM-8PM service could get real estate developments out of the business of running overlapping, redundant transit services, cut congestion on the city’s streets, and provide significant benefits to both the general public and the residents of these developments. The reimagined Hop would be funded by the city entering into agreements with property owners of residential developments to subsidize the service on a sliding scale depending on the number of units in each development. Developments that opt out of an agreement to help subsidize expanded Hop service would be subject to a special transit assessment that would be higher than they would otherwise pay under the agreement. Real estate developments would no longer be allowed to freely operate private shuttles in Hoboken that only benefit the residents of those developments, and would be incentivized to replace their private services with participation in a citywide public transit option that better serves everyone. The revenue stream created by entering into agreements with owners of large residential developments would enable The Hop’s current $1 fare to be eliminated. Making the service fare-free makes sense, instead of engaging in the awkward logistics of collecting a $1 fare from riders boarding at existing Hop stops, while not collecting a fare from riders boarding at residential developments. Also, The Hop’s existing 22% fare box recovery ratio isn’t high enough to justify the current $1 fare, so making The Hop free would entice more people to use it for trips where they might otherwise drive, thus further reducing congestion on Hoboken’s streets. 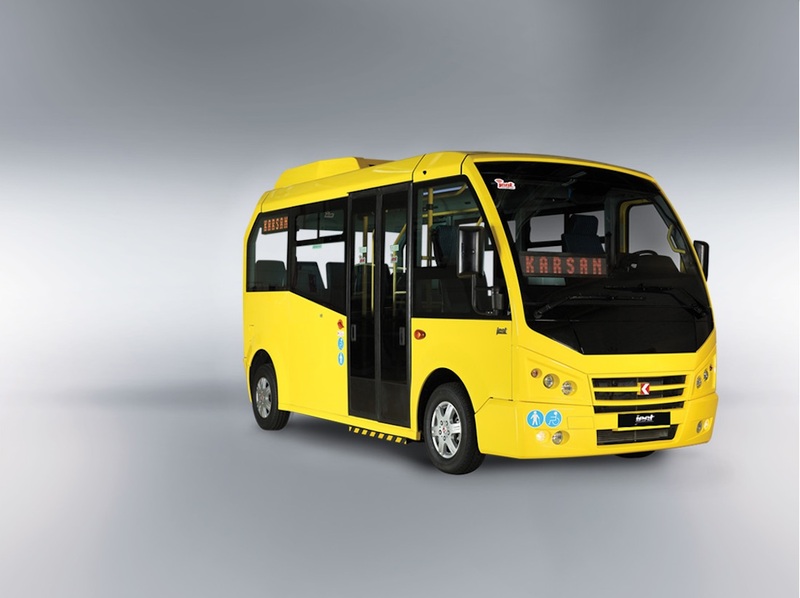 With residential developments providing the operating subsidy for The Hop, the City of Hoboken could use its existing $250,000 annual municipal subsidy to acquire an iconic new fleet of low-floor minibuses, like the Karsan CS. This would make The Hop instantly recognizable as Hoboken’s hyperlocal transit backbone, and improve accessibility for less physically-abled users. A reimagined Hop would better serve as a first/last mile connection for everyone who already uses other modes of public transit, and potentially attract new transit riders, while cementing Hoboken’s reputation as an innovative urban leader. Hoboken could make the Hop into an indispensable, hyperlocal transit backbone with expanded service, and an iconic fleet.